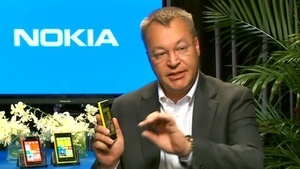 Nokia CEO Stephen Elop would not officially confirm it, but the exec made more statements suggesting that the phone maker will be building a Windows-based tablet in the future. Teenager lucky to escape jail sentence. Jake Birchall (or Fennic) was 16 years old when the Operation Payback actions were taken in 2010, reportedly in response to PayPal's refuse to process Wikileaks donations. Two others involved in the attack were jailed for their part, while another received a suspended sentence. L.A. Noire has its own gag reel. The Rockstar title was released in 2011, depicting 1947 Los Angeles and the fight against crime from the perspective of Police Officer Cole Phelps. Cornerstone Christian school 7th grade science project. BlackBerry Z10 off to hotter start than Lumia 920? According to multiple analyst notes, the new BlackBerry Z10 is off to a hotter start than expected, even moving units faster than the Nokia Lumia 920 did. 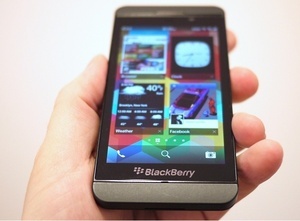 Link to topic: BlackBerry Z10 off to hotter start than Lumia 920? Watch the trailer for Dragonborn™, the next official game add-on for The Elder Scrolls V: Skyrim®. A series of explosions in the skies of Russia's Urals region, reportedly caused by a meteorite shower, has sparked panic in three major cities. Witnesses said that houses shuddered, windows were blown out and cellphones have stopped working.